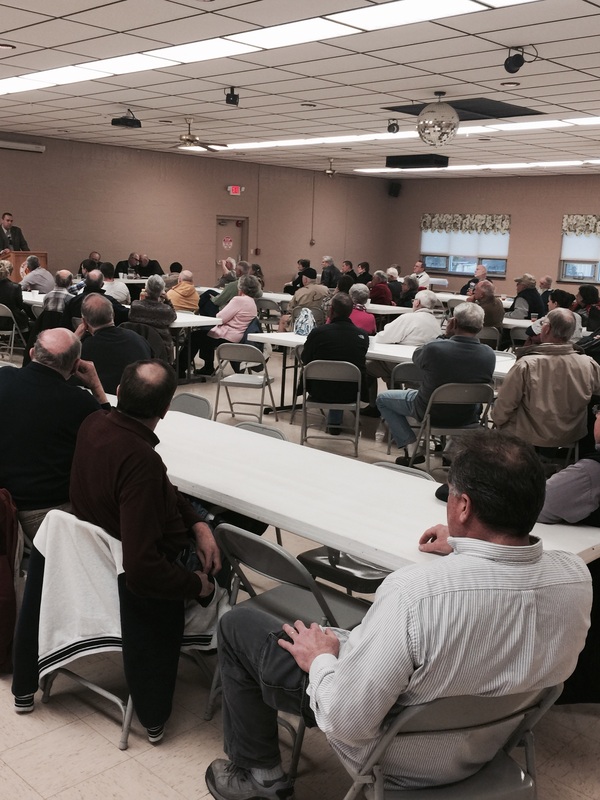 The Western Sussex Republican Club held its inaugural event at the Bridgeville Vol. Fire Co. tonight. The event was a meet your elected officials town hall type meeting, that included state Senator Brian Pettyjohn, Minority Leader, Representative Danny Short, Representative Dave Wilson and Sussex County Council President Mike Vincent. Approximately seventy citizens came out to take the opportunity to meet and ask questions of these elected officials. There were light snacks and drinks, and everyone seemed to appreciate the effort. The topics seemed to focus mainly on roads, government regulations, and Sussex Tech funding. And though people were passionate, all were respectful. Everyone waited to be recognized to ask their questions, and then listed politely to the answers. The question and answer segment lasted about an hour and a half. This was actually the third meeting of this type put on by the core group of people who now make up the Western Sussex Republican Club, but was the first official event put on by the newly formed political club. The organizers have promised that this will become a regular, and moving event, focusing of course on the areas around the western portion of Sussex County. I believe that this group of motivated people have the political knowledge to put together other events, and fund-raisers that will enable them to support Republican candidates in the coming election cycle and the foreseeable future. Thank you, to those who put this event together, to the elected officials, and especially to the citizens who took the time to come out this evening. It was also streamed live on Catch It Live go there and watch it again. 2 Comments on "The Real Western Sussex Republican Club"
I understand there was good turn out for the event, between 60-70 people. Nice to have such an event with Legislators (4) participating and being accessible to constituents. This a good model for new republican clubs springing up around the state to follow, reaching out to OUR elected officials.